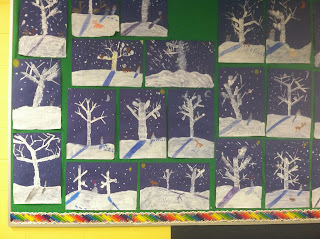 The third grade students made these fantastic trees this week using some new painting techniques. Starting with a brush they created the snowy horizon line. 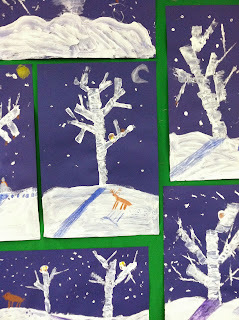 They then used a piece of flat cardboard to stamp and drag the white paint to create a trunk and branches for their trees. 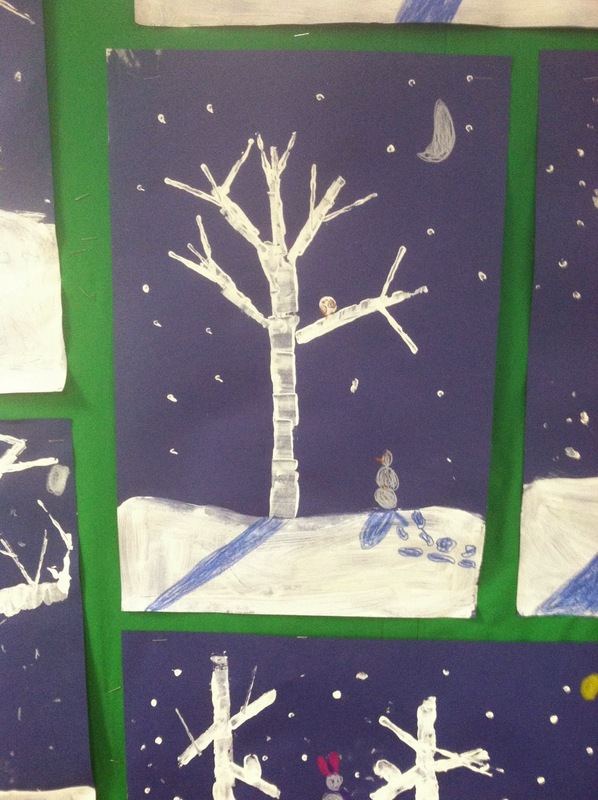 A thumb print in the tree makes an owl body, and the corner of the cardboard can be used for snowflakes. After cleaning up the paint and washing hands, the rest of the details, including the shadows and mood, were made with color sticks.